Your gadgets and devices want power. When you are on a commute or a long flight and without power, it can put you in a tough situation. Often there are no plugs available to charge your phone, tablet or game system. That is why you need to use an external portable battery pack to keep your devices charged. Which pack is the best for you will depend on what you need to charge and when you need to charge it. This will be the deciding factor when buying a battery pack and it will help you to choose from a variety of different manufacturers. As you research such companies, you’ll come across Anker Islamabad, that offer various options that will give you all of the power you need. With the right battery pack you won’t be twiddling your thumbs while watching others entertain themselves with their gadgets because your device’s battery died. 1) Test and record your device mAh. 2) Determine how many devices you need to charge. 4) Decide on your extras. When you are at home or in the office, you can easily charge your tablet, smartphone or other electronic device by plugging in your USB charger cable to the wall or your personal computer. Once it is charged, you are good for the rest of the day. Unfortunately, when you are very active on your device or have a long trip, you may not have a place to access power. That is when an external portable battery pack is extremely beneficial. To charge the battery pack, you simply plug it into a wall outlet until the battery is fully charged. A light usually indicates the device is fully charged. Then, instead of plugging your mobile phone charging cable into a wall, you simply plug it into the portable battery and turn the device on. Your phone or tablet will indicate that it is charging. Some battery packs are as small as a tube of lipstick while others are as large as a book. You may also find that some chargers are better quality than others – especially when it comes to capacity. Consider your needs like whether or not you need to charge multiple devices or travel for long periods before you make a purchase. 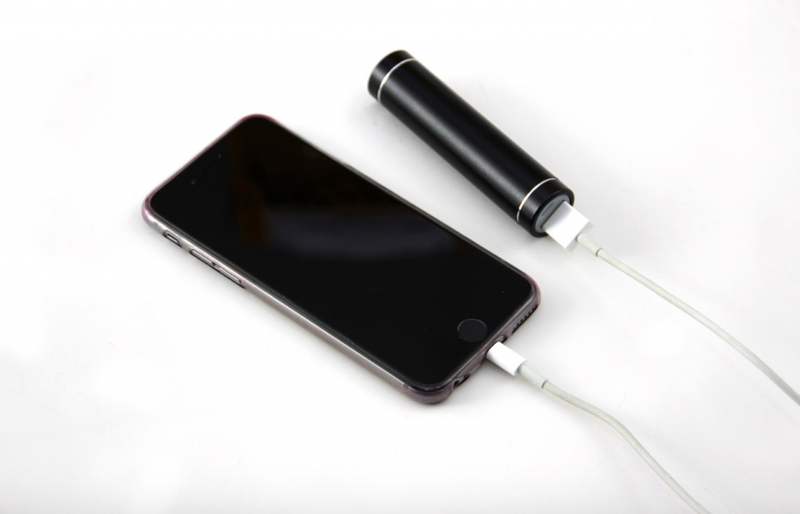 If you are overwhelmed by all of the options for portable battery packs, you are not alone. What is important is that you select a battery pack that meets your day-to-day, business, personal and travel needs. Not sure what mAh means? It stands for milliamp Hour. This unit measures electrical power over a period of time. It is a common measure of the capacity of a battery. That means that the more mAh your battery has, the longer the battery life is. 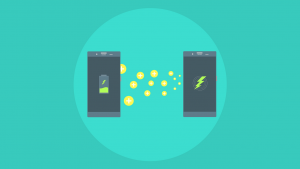 Once you determine your device’s mAh – which is often available in the device specifications – you can multiply the value by the percentage you wish to extend the life of your battery. For example, you would multiply the number by .5 for 50% or 1.5 for 150%. Whether you have multiple devices, or you frequently share your portable charging device with friends or family, you will need to determine the number of devices you will charge. Once you have that number, ensure you purchase a device that has the right number of ports that you need. Some devices will pull a large amount of energy from your portable charger. This usually includes tablets and large smartphones. If you have a high-draw device, choose a charger option with a 2.1A charging port. Once you have determined your capacity, port and energy needs, decide on what extras you want. Are you looking for additional cables, an LED light or a charging indicator? No matter what it is, make sure it is on your checklist as you begin to shop! Do you have a preferred portable battery backup? Tell us about it in the comments below.